The outdoor season proper begins with an Opening Drive on about the third Saturday in April. The green is then fully open for bowling and fixtures to begin. The first club night will be on Thursday 11th April and if conditions are suitable, practice can begin. 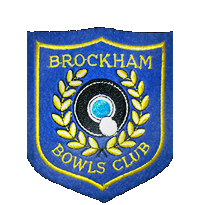 An introduction to bowls will take place this year on the Saturdays 20th and 27th April and the 4th May, for all to try their hand at bowling. The coaches and experienced members will be present on those days and sessions start at 10.00 am. The season normally ends with a Closing Drive on the third Saturday of September, although if the weather is good the Grounds Committee may keep the green open for a week or so longer. During the season if the weather is bad the Greens Manager may close the green, in consultation with the Captain or other committee member, in which case a notice will be on the green to say ‘Green Closed no Bowling’. If there is any doubt whether the green is playable contact the Greens Manager on 01737 844442 or the Club Captain on 07810 515345. On occasions certain rinks may be closed for play, either due to condition or being kept for specific matches.